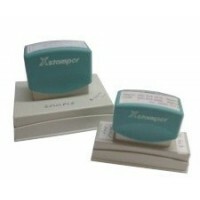 Xstampers are a pre-inked range of stamps. The imprint size of the N22 is 50mm x 77mm. Xstampers com..
Xstampers are a pre-inked range of stamps. The imprint size of the N24 is 30mm x 80mm. Xstampers com..
Xstampers are a pre-inked range of stamps. The imprint size of the N25 is 18mm x 85mm. Xstampers com..
Xstampers are a pre-inked range of stamps. The imprint size of the N26 is 18mm x 85mm. Xstampers com..
Xstampers are a pre-inked range of stamps. The imprint size of the N27 is 41mm x 100mm. 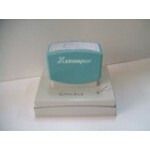 Xstampers co..
Xstampers are a pre-inked range of stamps. The imprint size of the N28 is 67mm x 103mm this is the l..